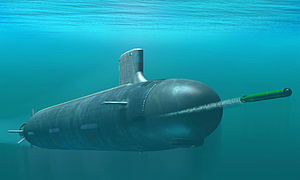 ^ Brazil, One Step Closer to First Nuclear-Powered Submarine. dialogo. [2019-02-23]. Friedman, Norman. Submarine design and development. Conway Maritime. 1984. ISBN 0-87021-954-5. Friedman, Norman. U.S. submarines since 1945: an illustrated design history. Naval Institute Press. 1994. ISBN 1-55750-260-9. Offley, Edward "Ed". Scorpion Down Hardcover. New York: Basic Books by Perseus Press. 2007. ISBN 978-0-465-05185-4. Polmar, Norman & Moore, J.K. Cold War Submarines: The Design and Construction of U.S. and Soviet Submarines Paperback. Washington, DC: Potomac Books, Inc. 2004. ISBN 1-57488-530-8.